We are offering quality range of coir pith machine, at very reasonable price in the market. The product is designed to process on coir pith waste material by an eco-friendly way. The price of coir pith machine is the best one can get in the industry which is widely appreciated by our clients as well. The robust construction of this machinery ensures trouble free. With our firm commitment towards quality, we are known as an eminent manufacturer and exporter of Coir Pith Briquette Machine since 1991. With the help of our skilled and experienced professionals we are able to manufacture and supply supreme quality coir pith briquette machine which can process on coir pith and other agro forestry waste material and convert them into briquettes by an Eco-friendly way. Well-known for its high performance and features of resistance, we are offering this exclusive range of Coir Pith Briquetting Machine in India that has been in wide demand by many of our customers for its quality performance, its capacity and its efficiency. Radhe Group Rajkot is the manufacturer and exporter of Coir Pith Briquettes Machine. These machinery manufactured by our professionals in adherence with the industry laid principles & rules. In down stroke direction offered coir pith briquetting machine comprises single acting spring return cylinder unit. We are engaged in manufacturing and exporting Coir Pith Processing Machine equipped with latest technology, the coir pith briquetting machines are light-weight in weight, durable, extremely economical and its durable construction is well acknowledged within the international market. Our team of extremely qualified professionals and quality analysts supervise the whole manufacturing process and ensure that products are defect free. Coir pith briquetting is the process of manufacturing coir pith briquettes by an eco-friendly way. In order to fulfil the every changing demands of our industry, we are offering a wide range of coir pith briquetting machine with extreme quality features. Coir pith briquetting is completely environment friendly process to process on wasted coir pith materials. 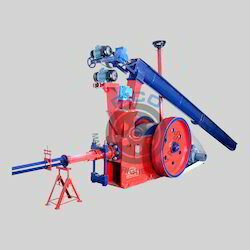 Coir pith briquetting press are manufactured, supplied and exported by us. This machine is used for processing on coir pith waste material. Our machines are manufactured using high quality equipment that enable their flawless performance. These products are admired by our clients due to their high functioning and high quality briquettes. 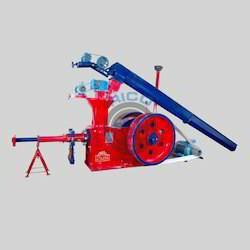 We are offering coir pith briquetting press at very reasonable cost in the market.